Sugary treats draw us in, because eating sugar causes dopamine release in the part of the brain associated with reward and motivation. It’s no wonder we love it—it can be addictive. Sugar’s powerful effects on the body go beyond our taste buds. Researchers suggest it may cause obesity and have profound effects on our brains. It’s raising the question “Is sugar a treat or a trick? But, since we understand how difficult it can be to remove sugar from your diet (hey, science says it’s addictive after all! ), and that it’s just not realistic for many people to cut it out completely, we need to spread the word about alternative sweeteners. Alternative sweeteners have a lower glycemic index and load—plus, they taste great! 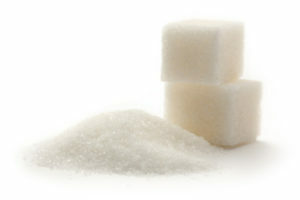 Nicknamed ‘Big Sugar,’ the global sugar and sweetener market was estimated at $77.5 billion last year. According to industry documents uncovered earlier this year, Big Sugar is overseen by the Sugar Association, which has used millions of dollars to influence research, dietary guidelines and media to keep the bitter reality about sugar hidden. There have been sugar refineries in Canada for two hundred years with today’s industry being comprised of two corporate entities: Lantic Inc. and Redpath Sugars. Being a colder growing climate, about 90% of the sugar consumed in Canada is made from imported sugar cane from tropical climates. Some sugar in Canada is made from Alberta beets. Canadians’ sugar tooth (about 20 kg per capita) is relatively tame compared to the largest consumers in Brazil (58 kg per capita). We have all witnessed children on a ‘sugar high,’ but historically the ability of sugar to affect the brain’s functioning has been based solely on rumours. Today, sugar’s interaction with the brain is more clearly understood thanks to new research in 2012. Researchers at the University of California trained rats to successfully navigate a maze, then replaced their water with 15 percent fructose syrup (soda is typically 12 percent). After six weeks of the fructose syrup, the rats were slower to complete the maze. Furthermore, when the rats’ brains were dissected the researchers discovered the sugar disrupted synapses (which relay chemical messages), ultimately affecting the ability of the brain to form memories. Of note, this study also experimented with omega-3 fatty acid intake and found when the rats’ diets were supplemented with omega-3 fatty acids they could complete the maze faster. If asked in a trivia game, “Is sugar linked to chronic diseases like diabetes, heart disease, cancer and obesity?” most would say “Yes.” However, scientific research to date is relatively limited and wavering as to whether sugar directly affects disease. Until we know more about sugar, perhaps we should focus more on the damage of a high glycemic diet. Research has linked a high glycemic diet/load with disease. For example, the Nurses Study followed over 75,000 women for a decade and illustrated that a high glycemic load is linked with a high risk of coronary heart disease. Regardless of how direct sugar’s role is in disease, it’s clear that using lower glycemic sweeteners is the healthier choice. Your sweet tooth may be keeping you thin. Your body may use sweet taste to predict how many calories are in a food. So, what happens when you consume artificial sweeteners such as those put in diet sodas? Researchers discovered when rats consumed saccharin (an artificial sweetener) it caused an increase in caloric intake and body weight. It is thought that artificial sweeteners may interfere with the body’s ability to properly balance energy intake. If true, using the term ‘diet’ on sodas with saccharin is paradoxical. People love sugar and thus it’s not realistic to imagine we can just stop consuming refined sugar. However, we take a moment to reconsider certain food choices based on their refined sugar content. As well, we can discover alternatives to replace sugar with such as stevia and coconut sugar, which taste delicious and don’t elicit a blood sugar roller coaster or health concerns. Kids are almost hardwired with a love for candy and sugar-related companies love to exploit it. Take Hallowe’en as an example—Hallowe’en accounts for about 10 percent of the candy the average North American eats each year. Considering the large amount of sugar in candy and other undesirable ingredients (wax, preservatives, food dyes, shellac; read more on our blog about the worst food additives for kids health) Hallowe’en is frightening. Perhaps we can make a difference. Kids love to dress up and knock on neighborhood doors saying “Trick or treat? Give me something good to eat.” Let’s do just that by trying to offer our little neighborhood ghosts and goblins healthier options this Hallowe’en.